Instead of having her toss the petals from flowers, let her carry a bouquet of her own, just like the bridesmaids, but miniaturized. This relieves a child from the pressure of having to remember to toss as she walks. 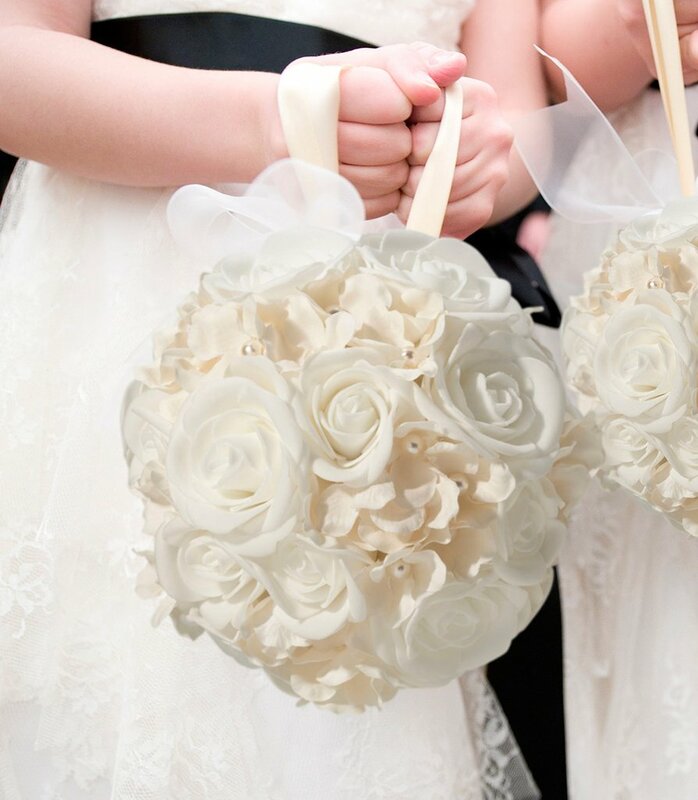 Our Ivory Flower Ball is another great alternative because it has a handle for her to hold onto, and she can even put it over her wrist if she gets tired of holding it in her hands. 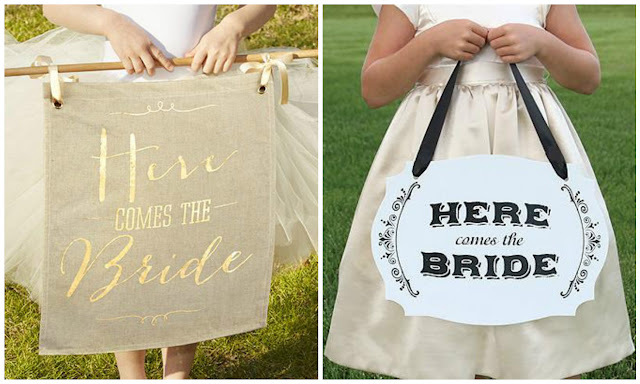 Let your flower girl literally announce your arrival with a pretty sign that actually states "Here Comes The Bride!" You can hang it with ribbon to match your wedding colors, and this is another alternative that your flower girl simply has to carry and remember to smile. No pressure at all, and it looks adorable! If you are the type of couple that wants to have a wedding that's all about the party, then bring some of that festive spirit into your decor. 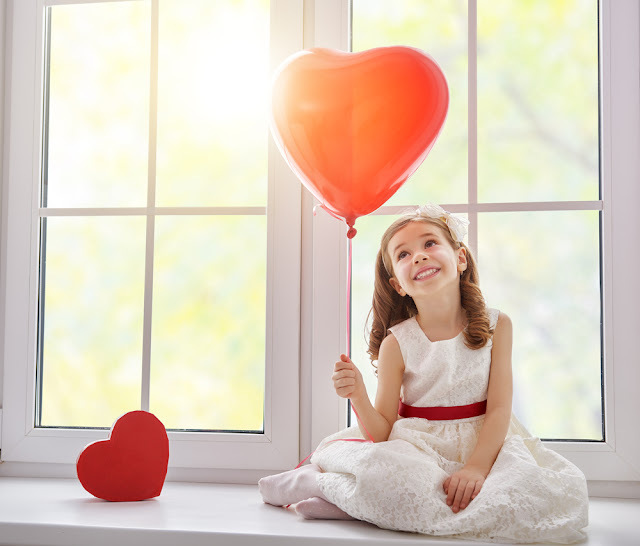 Simple birthday balloons won't do the trick for a special occasion like this, but an over-sized balloon or romantic and whimsical shape would look wonderful, and kids love carrying balloons! Something else kids love is bubbles. Another way to add fun and whimsy to your wedding is to let your flower girl blow a curtain of bubbles as she walks down the aisle before you. You don't have to save these for the end of the wedding, break them out at the beginning instead! 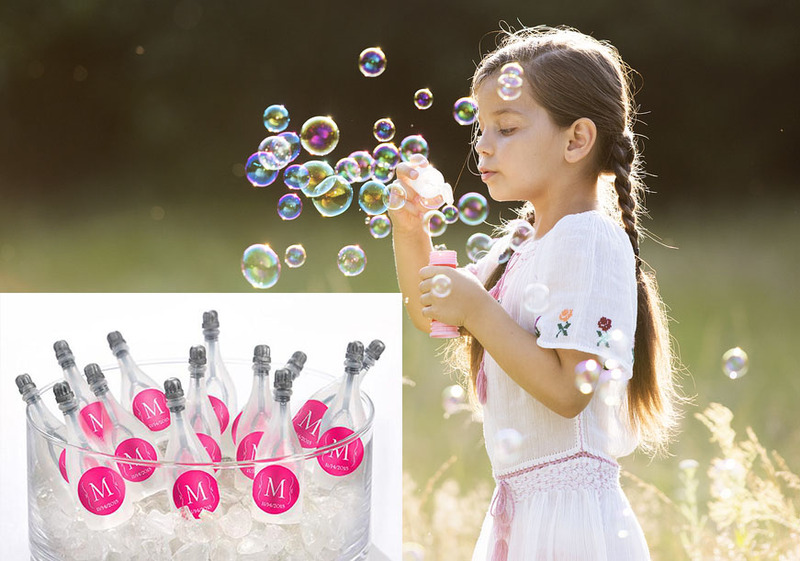 This works best if your flower girl is a little older and can handle the bubbles without making a big mess. 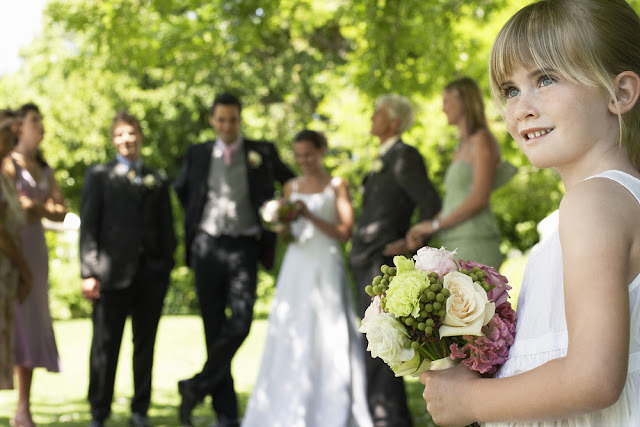 Those are just a few alternative ideas for your flower girl to carry down the aisle. The possibilities are endless and only limited by your imagination. 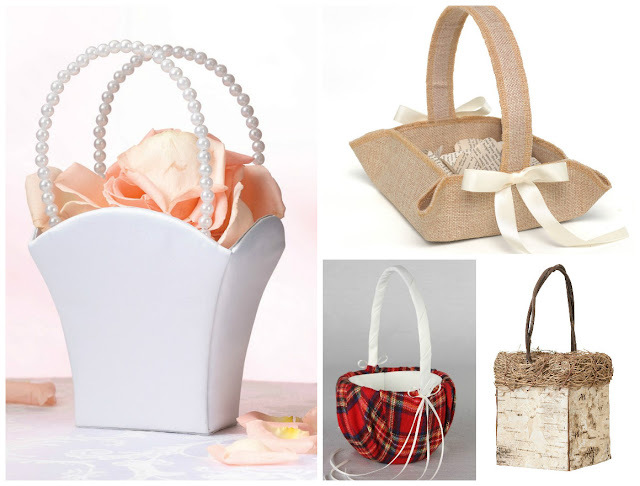 Browse through all of the unique and wonderful wedding items that we have at WhereBridesGo.com and you are sure to get inspired!